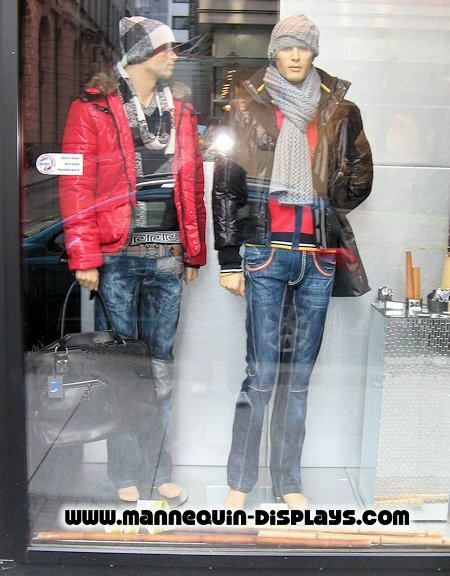 The case is different with male mannequins. They don’t necessarily require the use of a toupee. 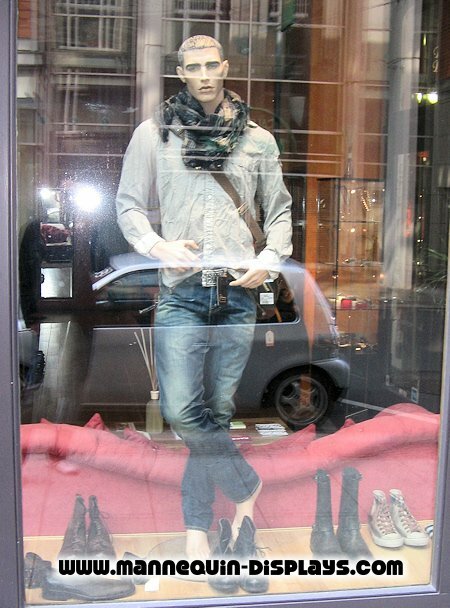 Partly because many male mannequins are delivered with hairs already molded onto their head, partly also because hairless male mannequins can be attractive without hair as well. In case the molded hair isn’t fashionable any more, a quick fix is to cover up the unwanted hairstyle with a adequate male wig. Another possibility for bald headed mannequins would be to cover up the missing hair with stylish caps or hats during the winter season, exhibiting additional apparel. Of course, even in this case the use of wigs is possible, using preferably ones with modern hairstyle. 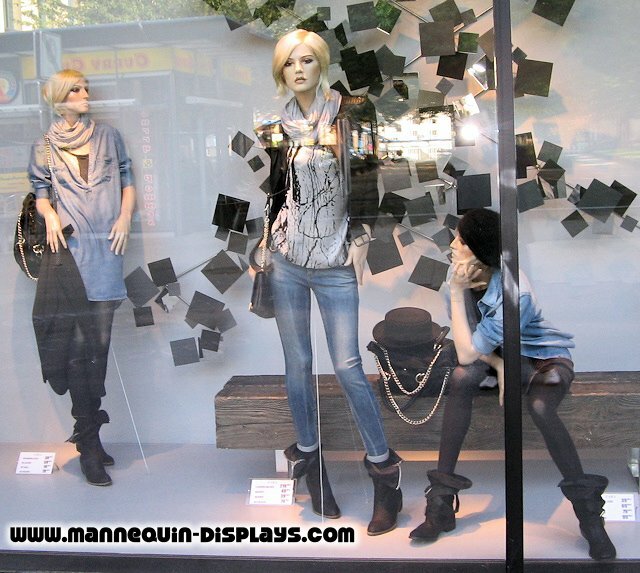 These examples show the importance of the ability of todays window dressers to combine the means available to him or her in the best possible manner. When procuring wigs for decoration, one should always keep an eye on cost-effectiveness. Wigs made from synthetic fibre are to be preferred here, because they are less expensive than wigs produced from human hair, which have to be hand produced in a cost intensive procedure. And although wigs from synthetic fibre are cheaper than those made from human hair, they come very close to the expensive ones in terms of appearance and are thus the best value for money in our opinion. In summary, the use of wigs for retail mannequins can be advantageous, even if the result in terms of sales volume will be hard to measure. To further illustrate the article with examples, we have added a few pictures below.